At Steel and Ink Studio, our services include basic body piercings such as ear piercings, nose piercings, lip piercings, facial piercings, navel piercings, double and triple helixes, to extreme body modifications like dermal and subdermal implants, suspensions, dental gems and so many more if your anatomy will allow a successful piercing! 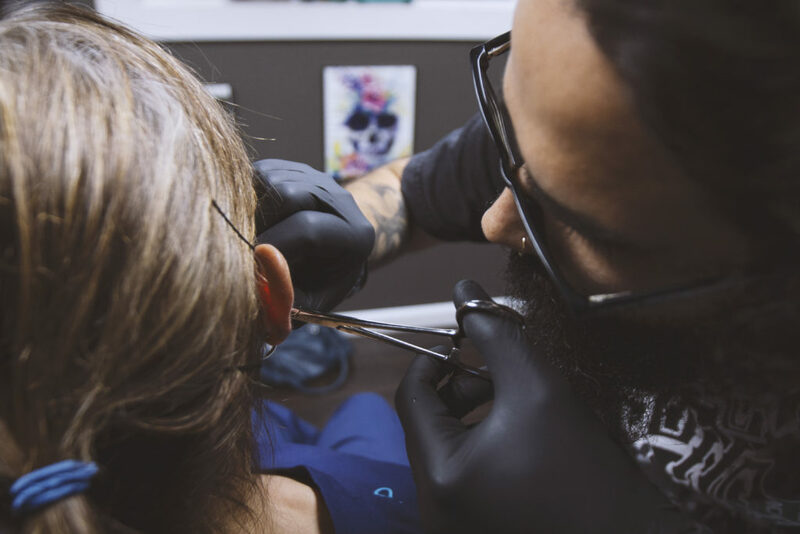 At Steel & Ink, we have a large assortment of higher quality body jewelry to choose from for every piercing imaginable in St. Louis and surrounding cities to top of the line aftercare for your new modification. Contact us to ask questions about your next body piercing! At Steel & Ink, we utilize safe practices and only the best sterilized piercing equipment. We sell top of the line aftercare for your new modification. Please note that the healing time required for a body piercing can vary according to placement of the piercing. If you have any questions, feel free to call us or come into our studio. We offer piercings 6 days a week from Monday through Saturday. We’re closed on holidays. 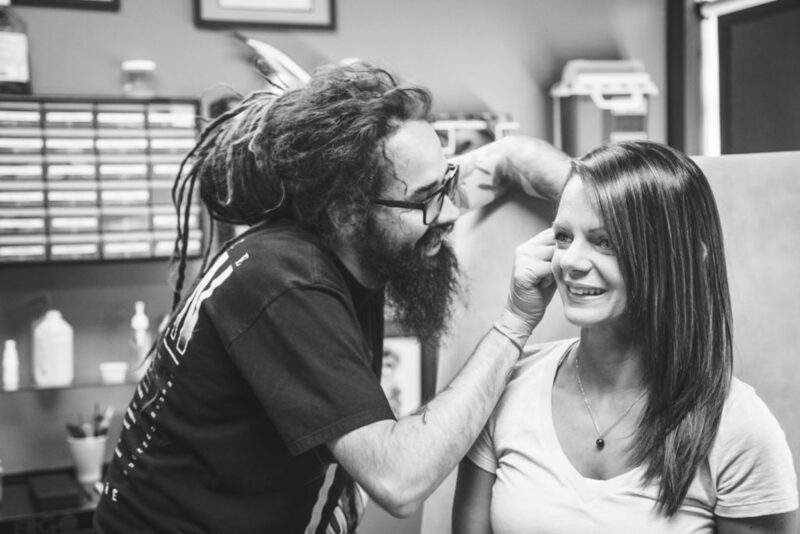 We’re happy to educate our clients on their new body piercing and all piercing procedures. Contact us to ask questions about your next body piercing!